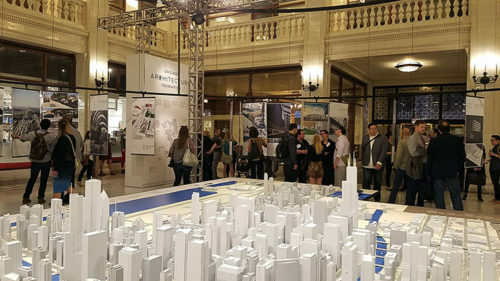 LVDA is thrilled to participate in the Chicago Architecture Foundation’s “Between States” exhibition! This ambitious exhibition curated by UrbanLab has the potential to bring real, positive change to our city. ‘Between States’ will run from September 19-January 7, 2018 and is located in the CAF’s Atrium Gallery at 224 S. Michigan Ave. “Between States: 50 Designers Transform Chicago’s Neighborhoods” is the second phase of CAF’s multi-year 50 Designers, 50 Wards initiative to explore how innovative design can create a better future for all of Chicago’s residents. design teams were asked to identify a single, physical asset that could benefit from a redesign. 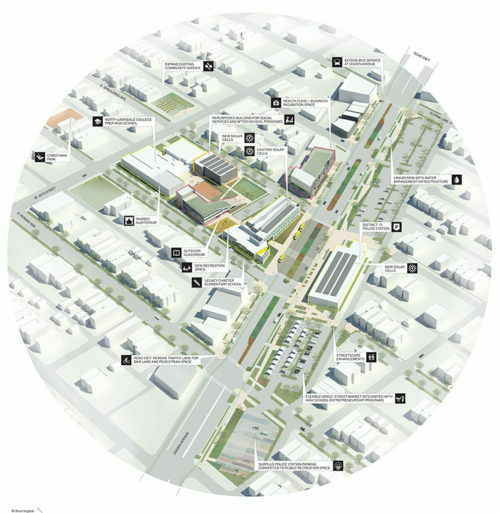 They were presented with two challenges: first, propose a way to change the state of an underperforming or dilapidated site into a rejuvenated civic anchor; and second, present an inspiring case study of a similar and successful project from another U.S. state or somewhere outside Chicago.